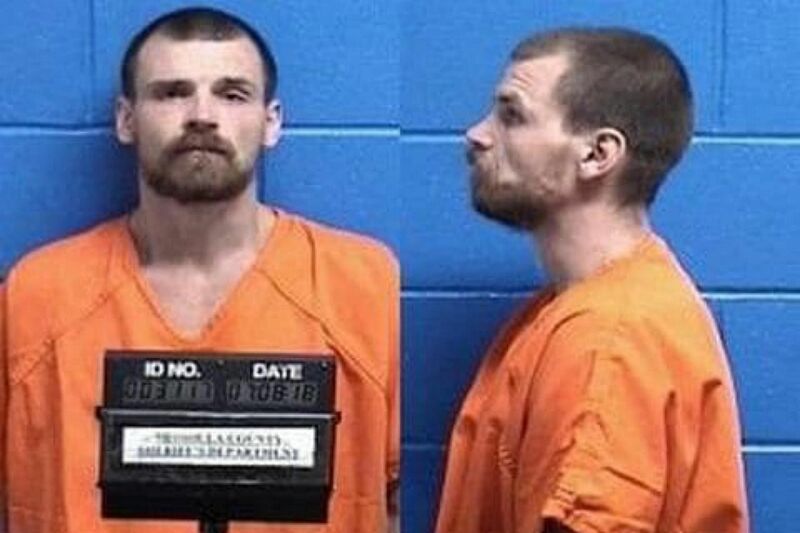 A five-month-old infant is recovering after being buried alive in cold western Montana woods for about nine hours, and a 32-year-old man was charged with criminal endangerment. MONTANA (WASHINGTON POST) - It was about 2.30am Sunday (July 8), in the cold woods of Missoula County, Montana, when a deputy heard a sound in the distance - "the faint cry of a baby." Deputies from the Missoula County Sheriff's Office had been scouring the area by foot for more than six hours, searching for any sign of an infant they believed was abandoned in the mountains, according to a sheriff's office press release. The search began at about 8 pm that night, when 911 calls poured in about a man who was "acting strange" in the Lolo Hot Springs area. Callers said the man, later identified as 32-year-old Francis Carlton Crowley, was threatening people and reaching into his pockets as he claimed to have a gun, authorities said. When deputies arrived in the area, Crowley had already allegedly fled. Authorities soon learned that a 5-month-old baby, who had been left in Crowley's care, had been missing for several hours. Another 911 caller later led authorities to Crowley, whom they took into custody. "When trying to question Crowley, he appeared to be under the influence of drugs and was not making sense to officers," the sheriff's office wrote. During Crowley's allegedly inebriated testimony, he revealed to authorities that the 5-month old baby may be buried. He didn't disclose an exact location, simply saying the baby was "somewhere in the mountains." Authorities immediately deployed an extensive search party, calling on Missoula County Search and Rescue, the United States Forest Service, the Bureau of Land Management, the Montana Highway Patrol, and Missoula County deputies to help find the missing baby. They combed through the woods for six hours on foot until a deputy heard the weeping of an infant. "He followed the sound and found the baby alive, face down, buried under a pile of sticks and debris," the sheriff's office wrote. The baby was wearing "only a wet and soiled onesie." The infant, who was not identified, had been left in the 46-degree Fahrenheit (7.8 deg C) weather for at least nine hours, according to the sheriff's office. Authorities have arrested Crowley on a charge of criminal endangerment and expect to file additional charges, the sheriff's office said. He is being held in the Missoula County Detention Center in lieu of US$50,000 bail. He has not filed a plea and no lawyer representing him could be located. The baby was taken to a hospital and is in good condition, the sheriff's office said in its press release, thanking those who helped bring the infant to safety. "For all of us at the sheriffs office, this is what we call a miracle," the release said. "For the officers who were present for this event, its especially hard knowing what this small baby endured in the last 24 hours."